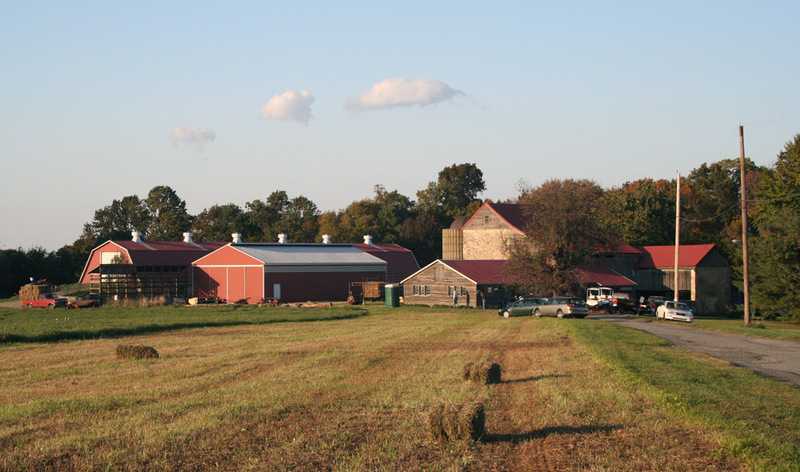 In 1996 the Township purchased 20 acres of the Brightside Farm located on the northeast side of Yellow Springs Road in order to preserve it from impending development. 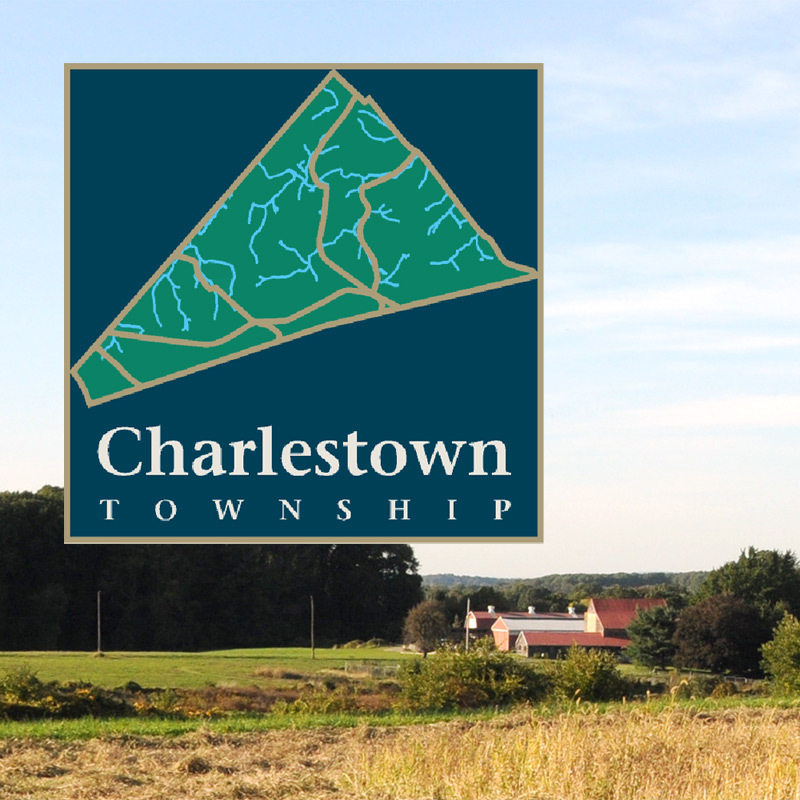 In 2000 the Township added 55 additional acres to the parcel with the purchase of the rest of the farm with the help of a significant grant from Chester County. The Township is committed to preserving the farm as an agricultural asset for the residents to enjoy and a portion of the property is under a conservation easement with the French & Pickering Creeks Trust. 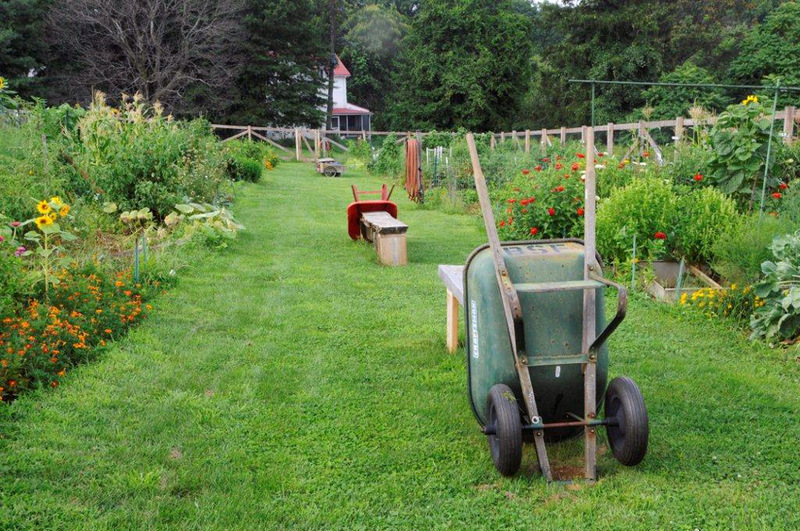 For the past several years, the farm offers over 50 garden plots to township residents. 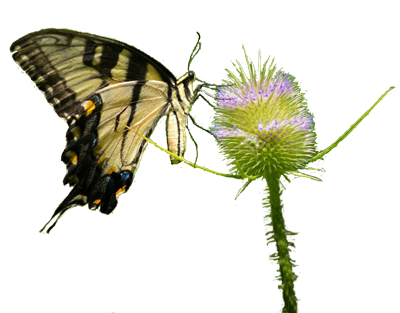 A small fee is assessed to defray some of the costs of the garden. The program has been very popular, and residents meet new friends and old, and exchange ideas while growing their vegetables and flowers. Plots are approximately 20 feet square within a fenced-in area, and water is conveniently available nearby. A walking trail is established around the perimeter of the farm. 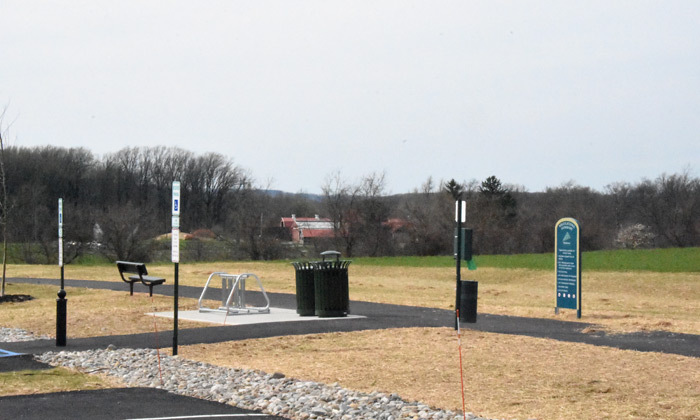 In the future, there are plans to make this a more formal walking and jogging trail with the availability of limited parking to encourage more public use of this township asset. While the farmhouse is rented to a family and is not available for residents’ use, in the future the Township hopes to rehabilitate selected buildings to be used for community events, rentals, and other activities. The historic bank barn is a prime candidate as it could be renovated for use by the Historical Society for its fund raising dinner, and for town meetings and educational activities. Many residents in Charlestown have shady properties or small yards that aren’t suitable for successful vegetable, herb or flower gardening. This is where the community gardens come in. Over 50 plots, approximately 20 feet square, are available for annual lease on the Brightside Farm property. A small fee is assessed to defray the costs of the garden and volunteers run the program for the Township. Water is conveniently available nearby and the plots are fenced to keep out wildlife. An application for a plot is available. (2018 plots are taken). Both the gardening and the opportunity to meet new friends have made this program a great success. 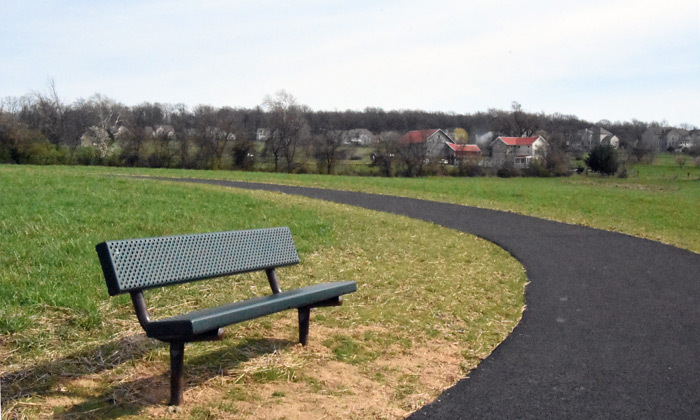 Take time one day to walk the 1.5 mile Brightside Trail, which circles the farmed hayfields — along the edges of the fields. Parking for Horse Trailers is available on the left of the Farm’s drive, diagonal parking for cars is on the right side of the drive. To turn around and exit, trailers drive to the Y in the drive, pull into the right leg of the Y and back into the left leg to complete the turn. The small stone house on Yellow Springs Road, near Hollow Road, is the Wisner-Rapp House, a 18th century house and saddle shop on the National Register of Historic Places. It is owned and maintained by the Charlestown Historical Society. 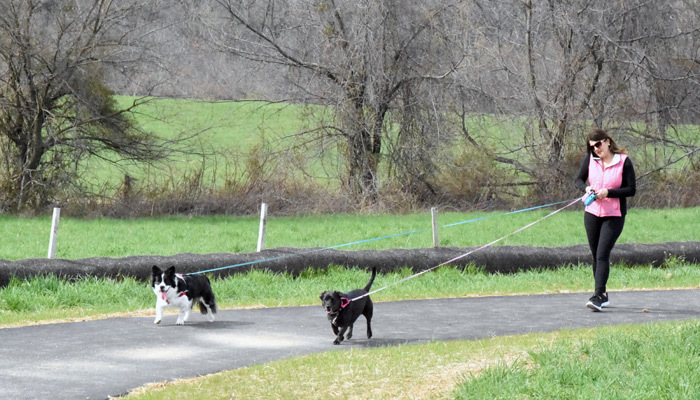 In 2017, the grass trail at Brightside Farm was paved to encourage more visitors to walk this beautiful scenic spot in our township. A small parking lot was constructed adjacent to the Wisner-Rapp House, which is the small historic house owned by the Charlestown Historical Society. Benches have be placed along the trail.